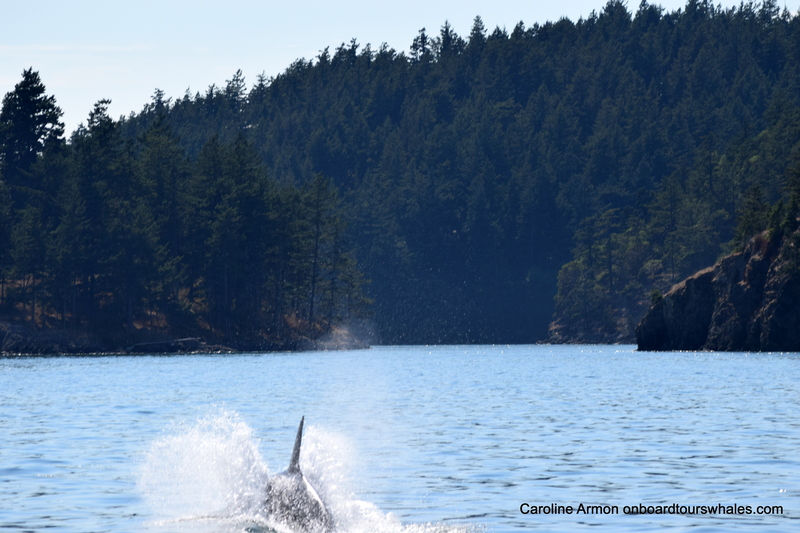 Monday afternoon, many Lpod and Kpod family groups were swimming down Rosario Strait. The 7’ flooding tide was ending, then a 1’ ebbing tide made for calm easy waters. I was able to identify the large L55 family, L92 & L90, L95 & L105 & frisky? 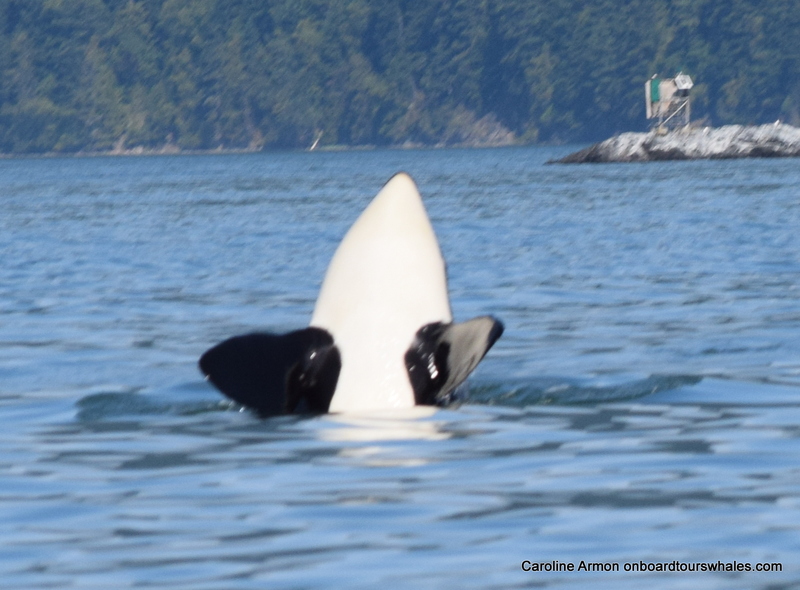 L72;) (The Whale Museum will tell you their names) The orca were very surface active, vocalizing and chatting! 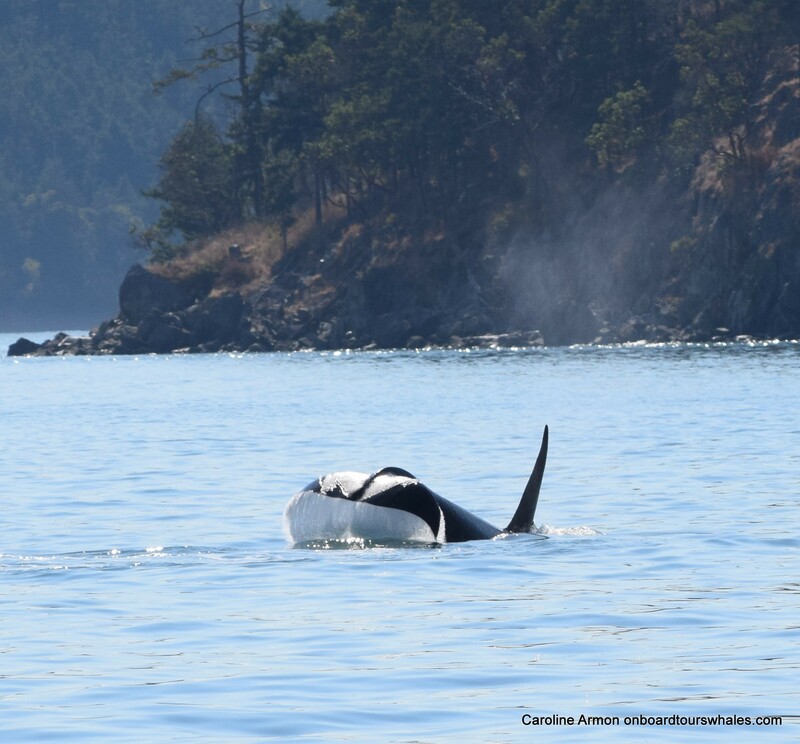 We witnessed all behaviors- powerful breathing, fishing, lunging, spyhopping, breaching, tail-fluke lobbing, pectoral fin lobbing, playing, resting, and whale ‘flashes’ suggesting mating! 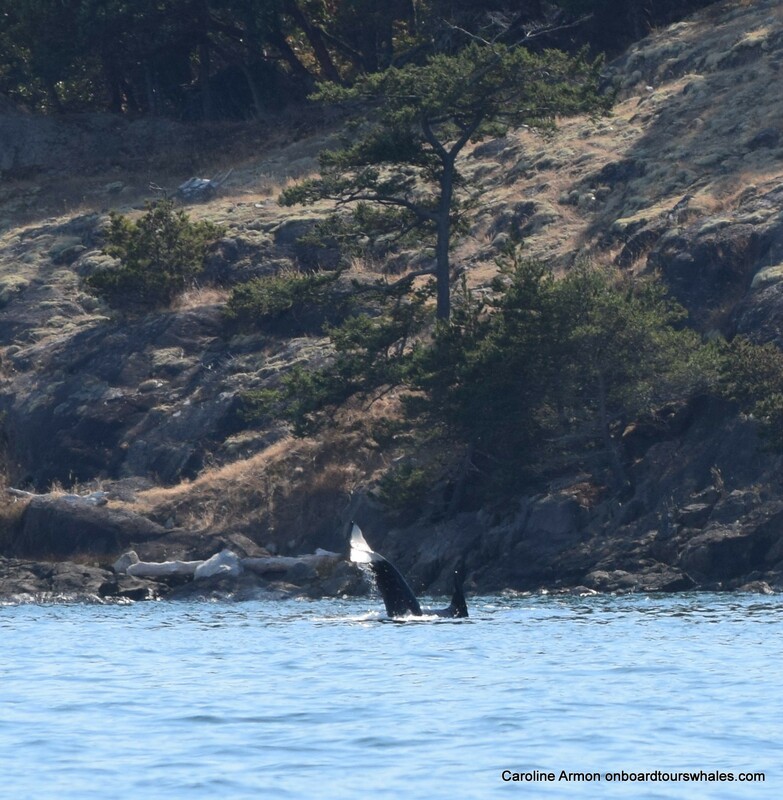 These whales made an uncommon choice to follow the ferry route west between the islands, taking their time, holding the attention of awed folks from San Francisco, Mexico, and on the ferrys! 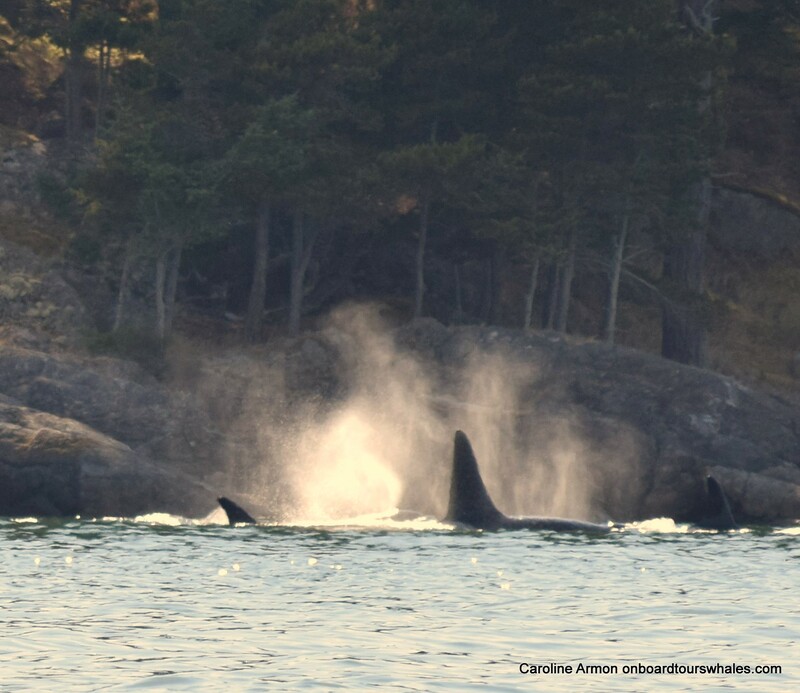 A memorable day, the many orca families traveling together, hoping they were getting enough salmon, knowing these whales need our help in restoring salmon abundance for their very survival. 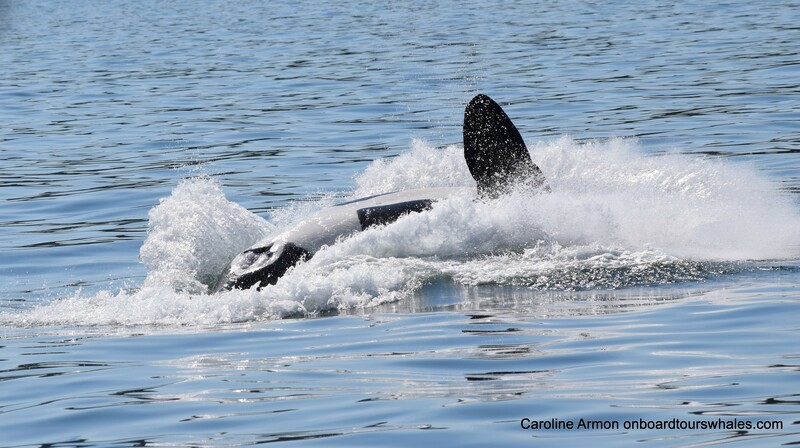 « My Orca Photos July by Sea and August 2nd by Land!